The Italian telco’s shares have dived after a profit warning. New CEO Luigi Gubitosi can stop the rot by listing its fixed network, but that path is slow and uncertain. A quicker route to credibility lies in selling stakes in choice assets like Inwit and the Brazil business. 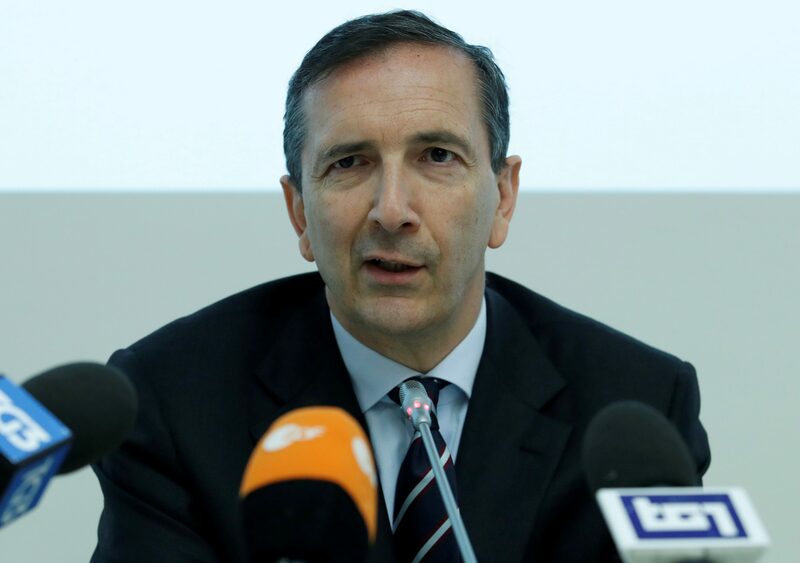 Alitalia special commissioner Luigi Gubitosi, appointed CEO of Telecom Italia on Sunday, talks during a news conference at the Alitalia headquarters at Rome's Leonardo da Vinci-Fiumicino Airport, Italy May 10, 2017. Telecom Italia said on Jan. 17 its organic 2018 EBITDA was 8.1 billion euros and predicted that unfavourable business dynamics seen in the last part of the past year would influence 2019. Shares in Telecom Italia were down 8.8 percent at 0.48 euros at 0855 GMT on Jan. 18. The Italian telecoms incumbent will on February 21 present its new business plan, the first under new Chief Executive Luigi Gubitosi. Gubitosi replaced Amos Genish in November. Genish had been appointed just a year earlier by top shareholder Vivendi. Telecom Italia will hold a shareholder meeting on March 29 to vote on Vivendi’s request to replace five more board members that were put forward in May by activist shareholder Elliott and thus regain control of the board.